Grab some caffeine, open your trusty and ubiquitous computing device and take 5 minutes to read THE RETURN TRIP – every day except Saturdays at WIF. Below is the “Query” summary sent to literary agents and publishers. This is a good ol’ fashioned Science Fiction book. Set in the near future, it is easy to relate to and somewhat plausible. 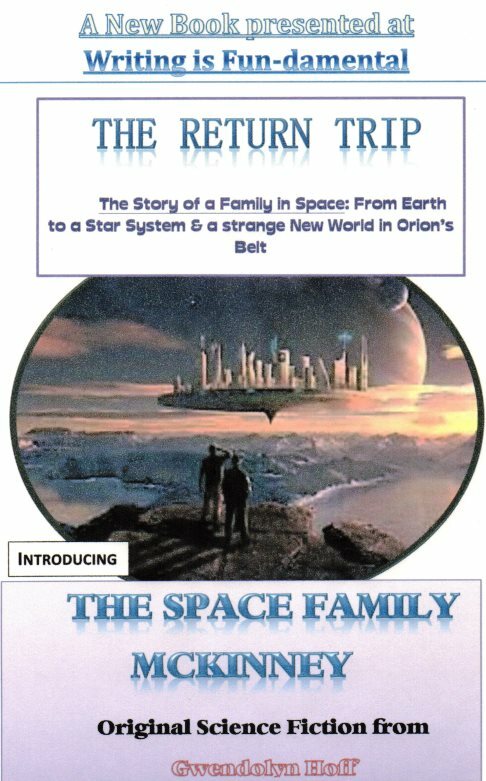 Space Colony 1 is a stepping-stone, Earth’s best chance to leave the Solar System – There is a family of space explorers named McKinney. Join them as they colonize the planet Mars…..and are hijacked to the stars. Earth attempts to colonize Mars, but the McKinneys get an unexpected trip to Orion’s Belt instead. BACKGROUND: THE RETURN TRIP is a book that I wrote in the mid-1980s. In the face of current events concerning the privatization of space exploration and specifically recruiting a married couple to start a colony on Mars, I decided to reach back to my unpublished 1st draft and update my original work. The Challenger shuttle disaster took away my steam at the time, having already included some Space Shuttle trouble in the book. Astronauts Sampson & Celeste McKinney are first to populate Space Colony 1, a collaborative orbiting space station, towed to Mars by a drone. The eventual goal, once the colony is up and running is to bring in small waves of other colonists and then establish a colony on the now well-known surface of Mars. But while the McKinneys are down exploring the surface with their lander Tycho, a non-participating foreign power destroys the orbiting Colony, thereby stranding them. They lose their ability to communicate with Earth. In survival mode and awaiting an anticipated rescue mission (the shuttle Mayflower), the couple stumbles upon an alien vessel, buried in centuries of space dust. To their surprise and convenience, its life support is still functioning. This is good, especially because Celeste McKinney has conceived a child during their 50 million mile trip to Mars. Just as they settle in and wait for help, the ship (they name NEWFOUNDLANDER) is recalled by its alien builders and it takes off for home…..at 2x the speed-of-light. 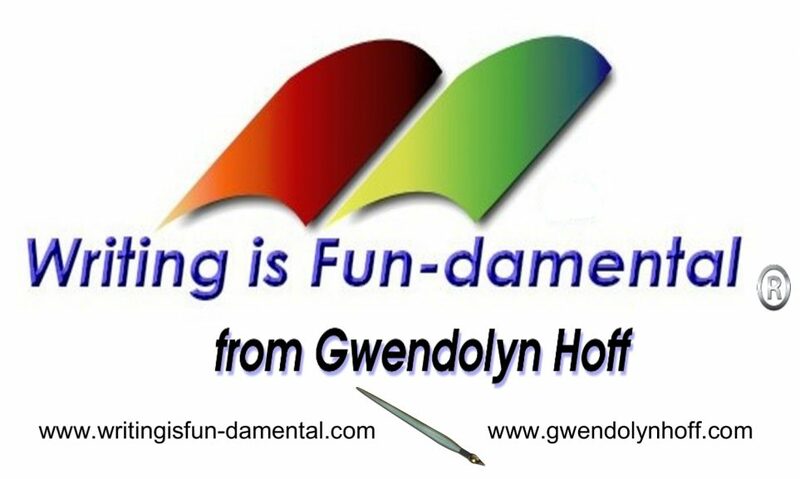 In the meantime, Earth starts its own speed-of-light (SOL) program and McKinney sons Deke & Gus are now pilots in it—but their science is flawed and The Space Family McKinney is reunited on the planet Eridanus, in the star system Epsilon Eridani. 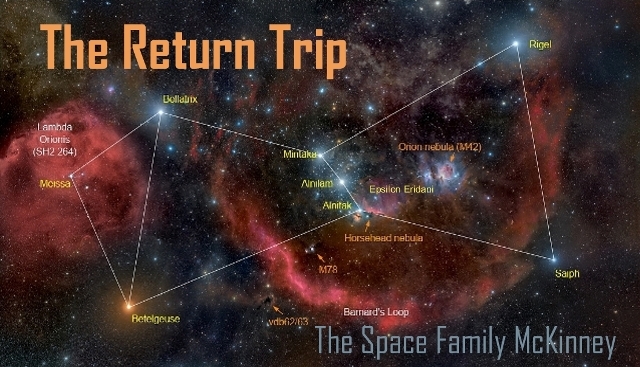 THE RETURN TRIP is so titled because “the end” is only the beginning; as in the year 2051 the United States begins a new era, at the S-O-L, outside its Solar System, and out into The Milky Way.